Available for men, women, and kids as t-shirts, hoodies, long-sleeve, onesies (baby). Also available as stickers and cases (ipad, iphone, etc). Even robot dogs can't help but chase squirrels. It's not in their DNA, though, so it must be some programmer's form of amusement. 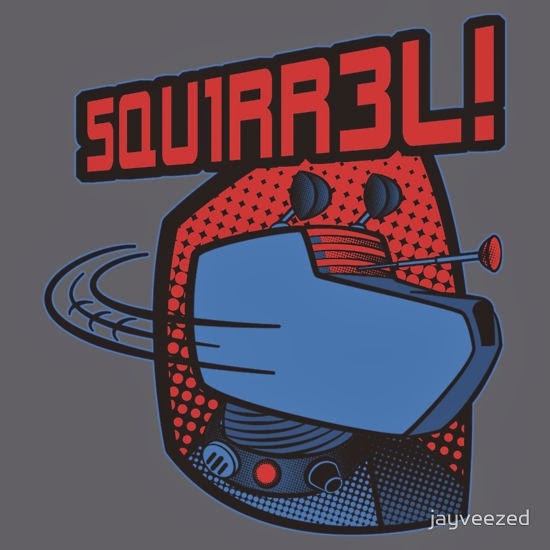 And here's a soundtrack for the ultimate face-off between robot squirrel and robot dog!